Phrenic nerve damage leading to paralysis of the ipsilateral diaphragm may result from a stretch injury due to lateral hyperextension of the neck at birth. Risk factors include breech and difficult forceps deliveries. Injury to the nerve is thought to occur at the point where it crosses the brachial plexus. Therefore, approximately 75% of the patients also have brachial plexus injury. Phrenic nerve injury with diaphragmatic paralysis must be considered when cyanosis and irregular and labored respirations develop. Diaphragmatic paralysis due to phrenic nerve paralysis may result in significant respiratory compromise, pulmonary infection, growth failure, and even death. This rare cause of respiratory distress of newborn may be missed easily among multiple common etiologies of respiratory distress of newborn if this entity is not kept in mind and thorough examination is not done. These newborn babies may require continuous positive airway pressure (CPAP) or mechanical ventilation and if unresponsive, surgical plication of diaphragm should be performed. Herein, we present the case of a female baby who was preterm, weighed 1.75kg, was appropriate for gestational age, and was born by vaginal delivery with breech presentation. There was no history of the usage of delivery forceps. Antenatal history revealed oligohydramnios. There was a history of second degree consanguineous marriage. The baby cried immediately after birth. Immediately after birth, the baby developed respiratory distress. Upon examination, it was revealed that cyanosis was present. The baby was started on oxygen and shifted to the Neonatal intensive care unit. Further examination revealed asymmetric Moro reflex. There was Erb's palsy on the right side. The right side of the chest was elevated [Figure 1]. The respiratory movements were diminished on the right side of chest. Sepsis screen was carried out which was negative. X-ray of the chest showed elevation of the right hemidiaphragm [Figure 2] and [Figure 3]. Ultrasound abdomen revealed sluggish movements of the right dome of the diaphragm with respiration. The movement of the left dome of the diaphragm was normal. The baby was started on CPAP in view of the severe respiratory distress with grunting and cyanosis on the 1 st day. Maintenance intravenous fluids were started. The baby was weaned to head box oxygen on the 4 th day of life and was started on orogastric tube feeds on the 5 th day of life. She required oxygen support for 2 more days. The baby was on complete breast feed by the 7 th day of life. She was discharged with advice for physiotherapy and follow-up. The follow-up revealed improvement in the movement of the right upper limb. Normal respiratory movements were present and the baby was feeding normally. X-ray of the chest revealed normal position of the right side of diaphragm and ultrasound showed normal movement of the right hemidiaphragm with respiration. Phrenic nerve damage leading to paralysis of the ipsilateral diaphragm may result from a stretch injury due to lateral hyperextension of the neck at birth. Most cases of diaphragmatic paralysis are unilateral and mostly on the right side. Diaphragmatic paralysis alone in the newborn results in significant respiratory sequelae and failure to thrive. The usual presentation is with respiratory distress, produced largely by over activity of normal hemidiaphragm. In cases of bilateral paralysis, there is cyanosis and poor breathing effort that necessitates mechanical ventilation. Sometimes, diaphragmatic paralysis can be overlooked if thorough examination is not done. Infants are usually large and may have other signs of birth trauma. There is excessive stretching of C3-C5 nerve roots in the neck. Of patients with brachial plexus palsy, a minority had clinically significant diaphragmatic palsy. Majority of the babies with brachial plexus palsy manifested respiratory complications sufficient to warrant diaphragmatic plication (DP). The severity of brachial plexus palsy failed to correlate with the severity of respiratory consequences. Al-Qattan et al. investigated the prognostic value of concurrent phrenic nerve palsy in newborn babies with Erb's palsy. The records of 191 babies with Erb's palsy were reviewed retrospectively in their study. Poor spontaneous return of the motor function of the limb was found for infants both with and without concurrent phrenic nerve palsy. Concurrent phrenic nerve palsy in newborn babies with Erb's palsy has no prognostic value in predicting spontaneous motor recovery of the limb. The diaphragm is an especially important respiratory muscle in the newborn. During sleep, the intercostal muscles are inhibited, because of the supine position of newborn, the diaphragm is pushed upward aggravating respiratory distress. 1. Bowerson M, Nelson VS, Yang LJ. Diaphragmatic paralysis associated with neonatal brachial plexus palsy. Pediatr Neurol 2010;42:234-6. 2. Karabiber H, Ozkan KU, Garipardic M, Parmaksiz G. An overlooked association of brachial plexus palsy: Diaphragmatic paralysis. Acta Paediatr Taiwan 2004;45:301-3. 3. Al-Qattan MM, Clarke HM, Curtis CG. The prognostic value of concurrent phrenic nerve palsy in newborn children with Erb's palsy. J Hand Surg Br 1998;23:225. 4. Zifko U, Hartmann M, Girsch W, Zoder G, Rokitansky A, Grisold W, et al. 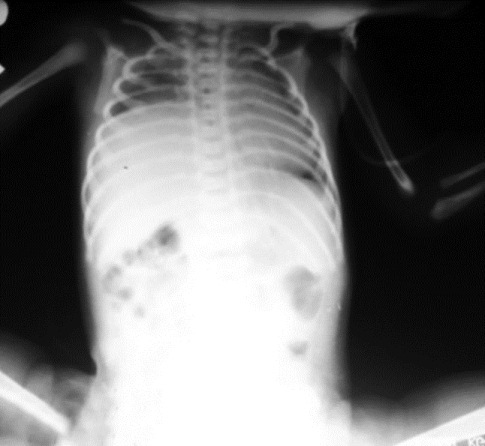 Diaphragmatic paresis in newborns due to phrenic nerve injury. Neuropediatrics 1995;26:281-4. 5. Escande B, Cerveau C, Kuhn P, Astruc D, Daemgen F, Messer J. Phrenic nerve paralysis of obstetrical origin: Favorable course using continuous positive airway pressure. Arch Pediatr 2000;7:965-8. 6. Bowman ED, Murton LJ. 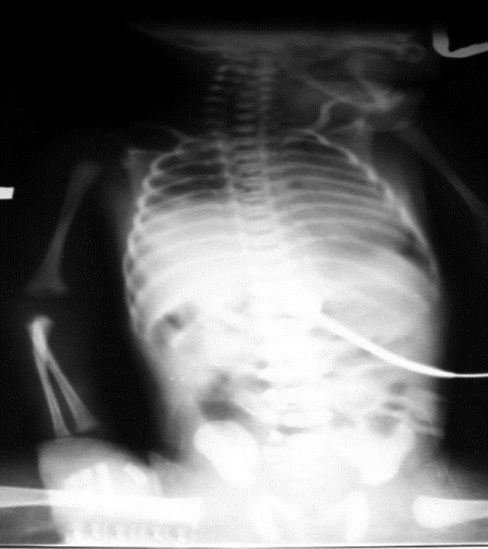 A case of neonatal bilateral diaphragmatic paralysis requiring surgery. Aust Paediatr J 1984;20:331-2. 7. Stramrood CA, Blok CA, van der Zee DC, Gerards LJ. Neonatal phrenic nerve injury due to traumatic delivery. J Perinat Med 2009;37:293-6. 8. Schwartz MZ, Filler RM. Plication of the diaphragm for symptomatic phrenic nerve paralysis. J Pediatr Surg 1978;13:259-63. 9. de Vries TS, Koens BL, Vos A. Surgical treatment of diaphragmatic eventration caused by phrenic nerve injury in the newborn. J Pediatr Surg 1998;33:602-5. 10. Shimizu M. Bilateral phrenic nerve paralysis treated by thoracoscopic diaphragmatic plication in a neonate. Pediatr Surg Int 2003;19:79-81. 1 La paralysie phrénique associée à une paralysie du plexus brachial obstétricale : quelle prise en charge ?